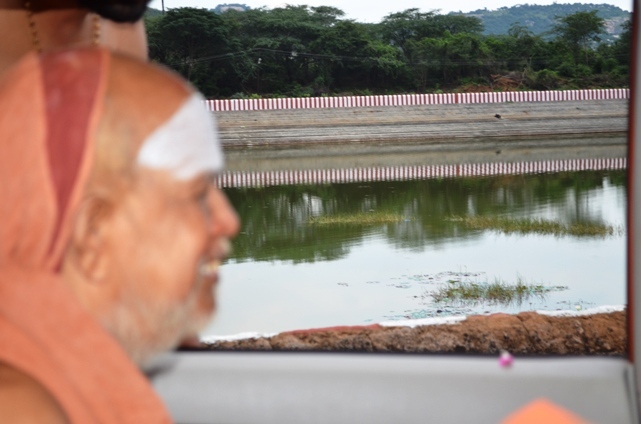 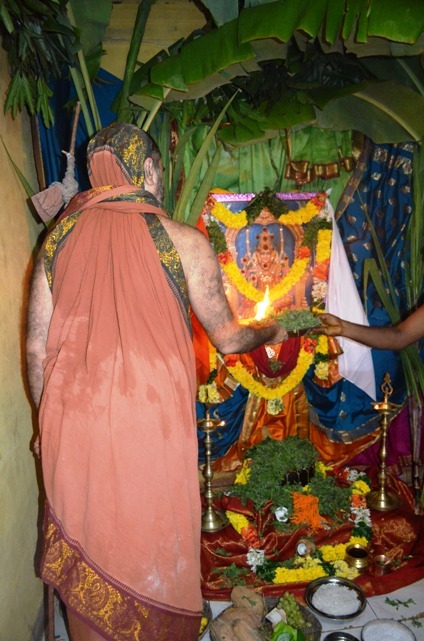 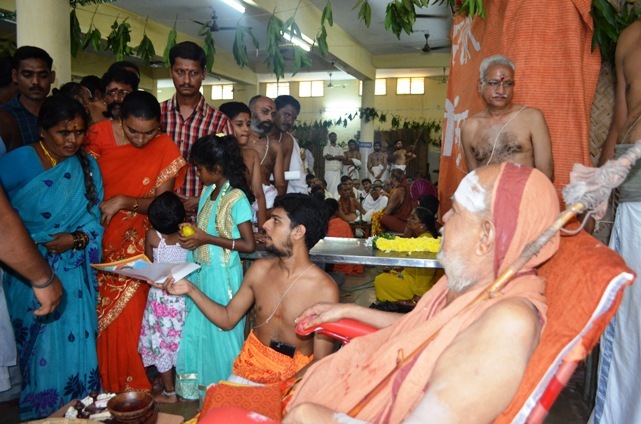 His Holiness Pujya Shri Jayendra Saraswathi Shankaracharaya Swamigal and His Holiness Pujyashri Shankara Vijayendra Saraswathi Shankaracharya Swamigal performed Nitya Chandramouleeshwara Puja in Karvetnagar, a town near Puttur. 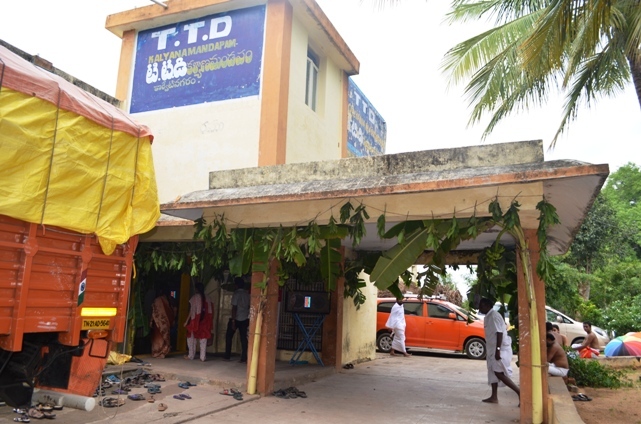 It may be remembered that HH Jayendra Saraswathi Swamiji had performed 1971 Chaturamasya in this very town along with HH Pujyashri Chandrasekharendra Saraswathi Mahaswamigal, who stayed there for 9 long months. 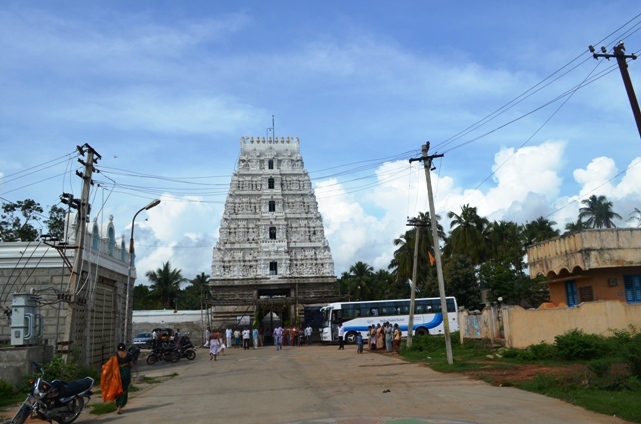 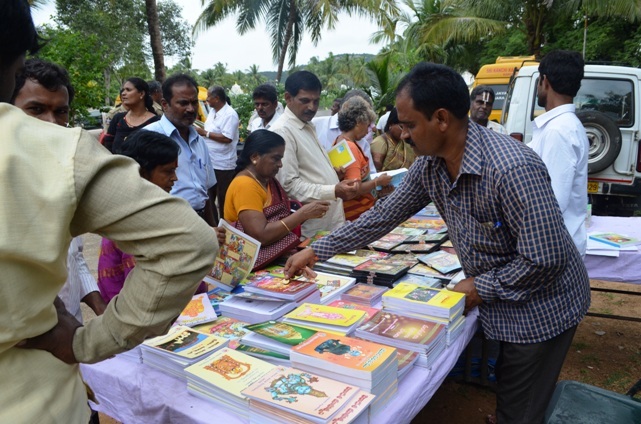 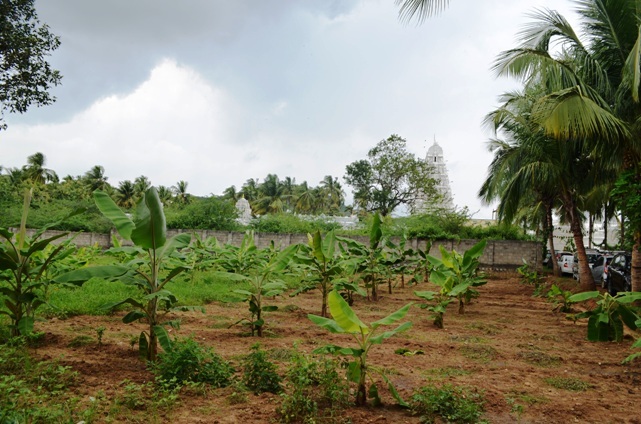 The town is 14kms from Puttur on the Puttur-Chittoor highway. 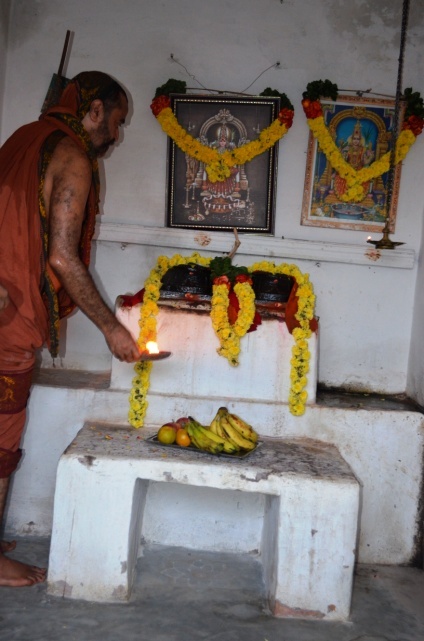 It was an ancient Samsthanam. 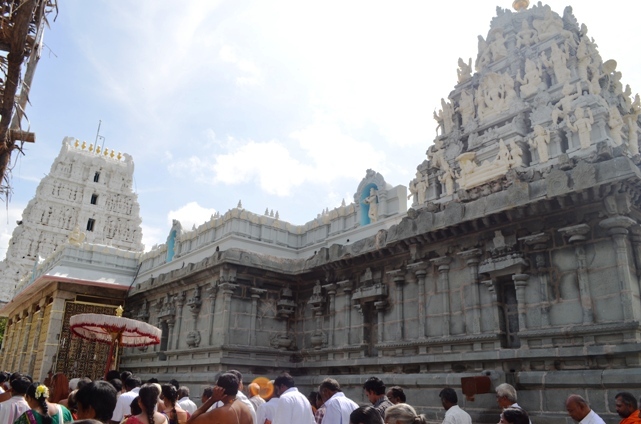 The erstwhile Karvetnagar rulers were famous in the region for their philanthropic activities and worship & maintenance of temples. 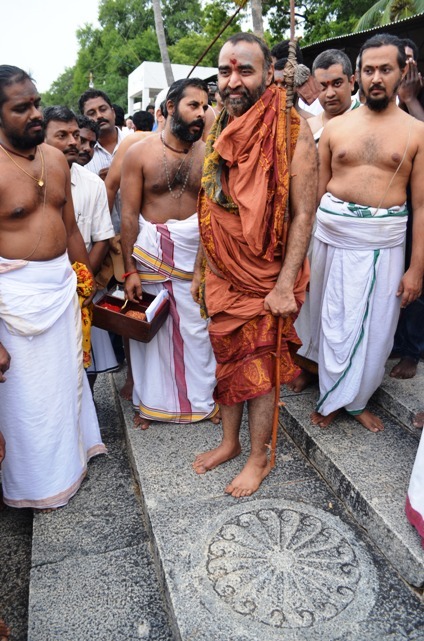 His Holiness arrived early in the morning on Sunday, 27th October from Kanchipuram and visited the Venugopalaswamy Temple Tank where HE had performed the Chaturmasya with HH Mahaswamigal in 1971. 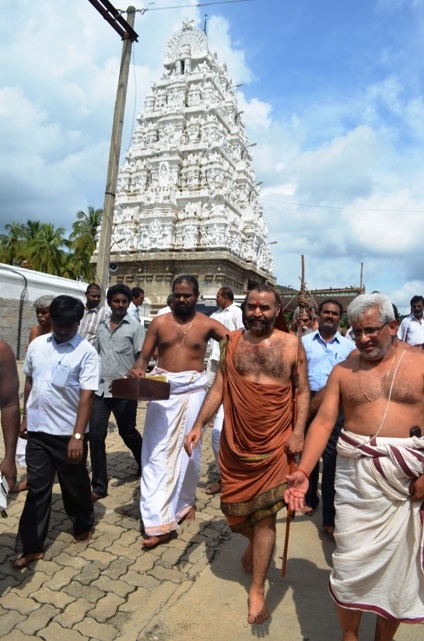 His Holiness showed the various spots of importance to devotees and arrived at the place of camp, the TTD Mandapam near Venugopalaswamy temple accompanied by the devotees of the town with traditional honours and Purnakumbham. 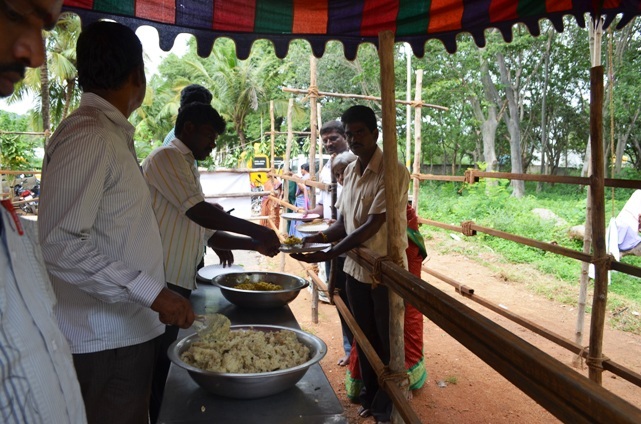 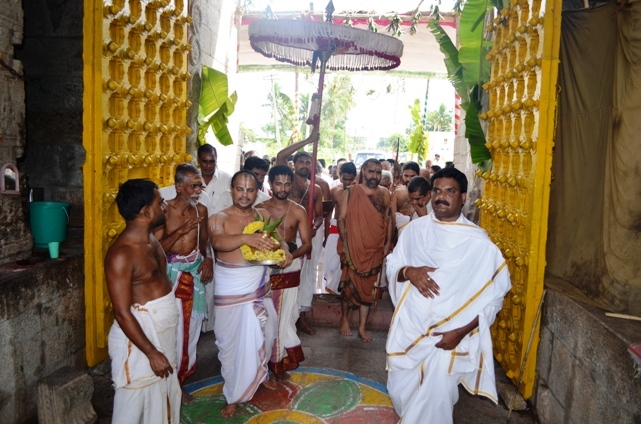 In a short while, the Puja retinue which had left Tirumala in the wee hours of the day arrived there and arrangements were made for Chandramouleeshwara Puja. 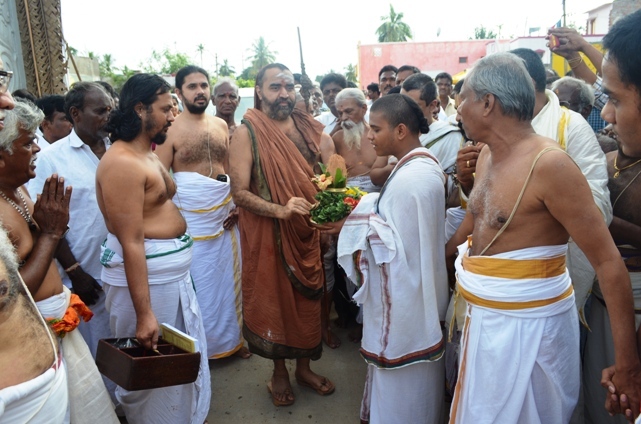 His Holiness Pujyashri Shankara Vijayendra Saraswathi Swamiji arrived from Tirumala and was received by the people of Karvetnagar with devotion and enthusiasm. 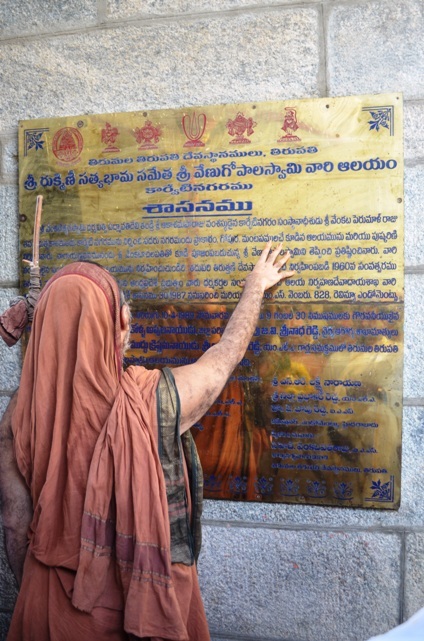 His Holiness Pujyashri Jayendra Saraswathi Swamiji performed the 1st Kala Puja much to the joy of the Karvetnagar people who remembered and cherished the memories of 1971 Chaturmasya of Shri Kanchi Kamakoti Peetam. 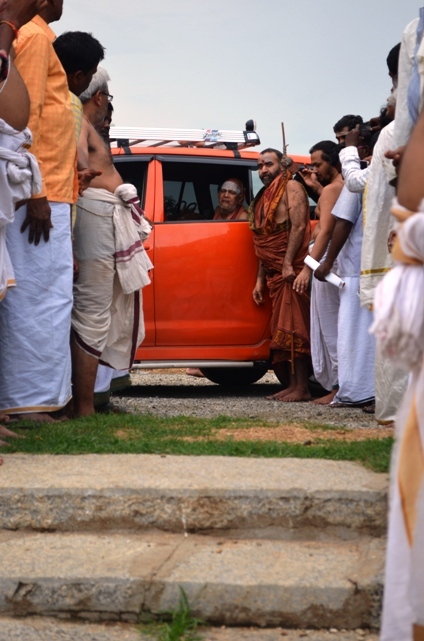 Meanwhile HH Bala Periyava visited the Venugopalaswamy temple accompanied by the Archakas & officials of the temple. 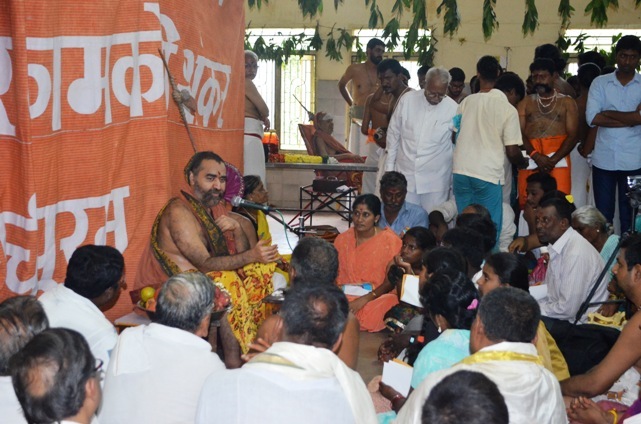 After the visit, HH Pujyashri Shankara Vijayendra Saraswathi Swamiji performed the 2nd and 3rd Kala Puja and in the afternoon, He gave anugraha Bhashanam to the devotees, assembled at the TTD mandapam, in the presence of HH Periyava. 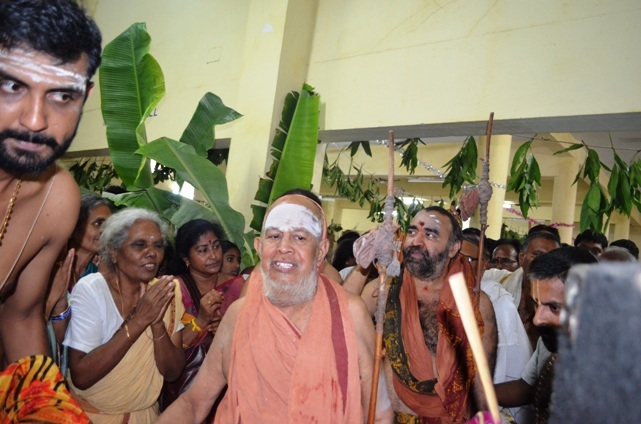 HH Bala Periyava recollected the age old connection of Shri Kanchi Kamakoti Peetam with Karvetnagar, importance of the day and stressed the devotees to yearn for a “Swach Man”- Mental Purity for leading a virtuous and blessed life. 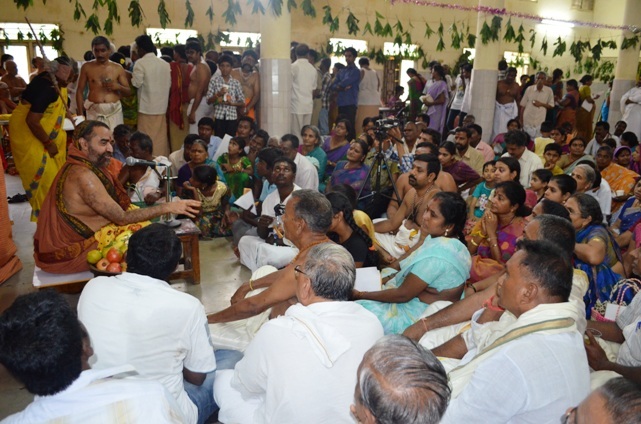 His Holiness also told the people to take active involvement in ensuring worship and upkeep of village temples. 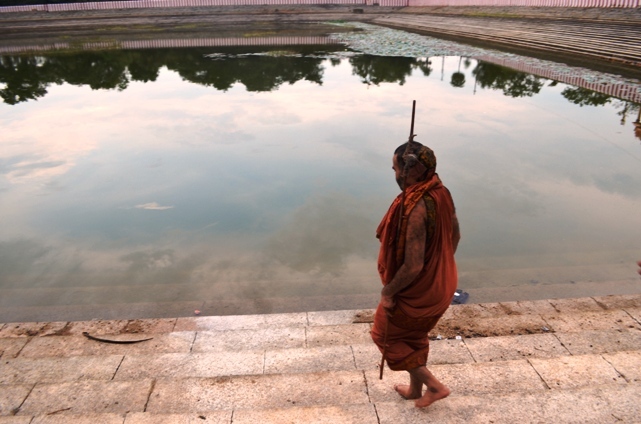 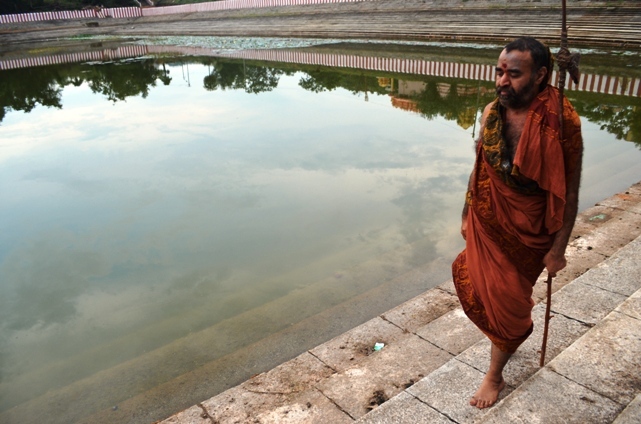 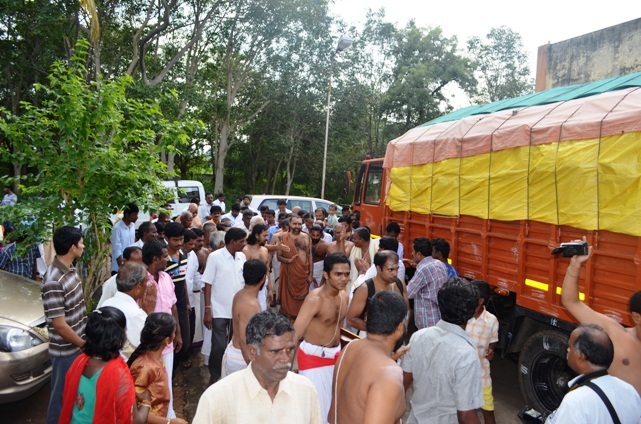 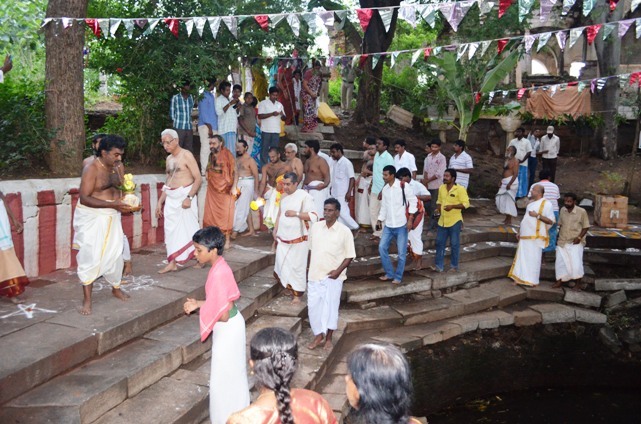 Later both the Acharyas visited the famous Venugopalaswamy Temple Tank and Blessed the devotees. 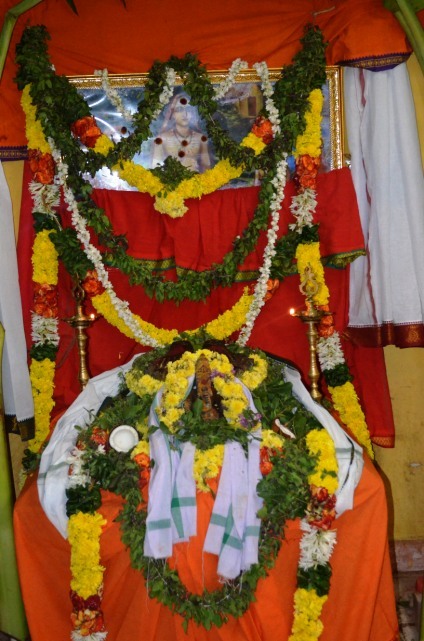 HH Bala Periyava then visited other temples and also the area where HH Mahaswamigal had conducted the Shankara Jayanthi and consecrated Adi Shankara Paduka & Kamakshi Padukas.